Social Excellence is contagious. And it should be. I think living a lifestyle of intentionally getting to know someone, having meaningful conversation, and cultivating relationships should be the most wide-spread, quick-moving epidemic our world has ever seen. Being Socially Excellent opens the door to limitless possibilities of interactions, relationships, and game-changing action. Organizations full of socially excellent people can change the world, but also, individuals can take actions that set in motion truly magical chains of events. I’m always inspired by the Liberty Mutual commercials and the power that one person’s actions can have. Take a look here or here. One person can inspire others to strive to be better. When I meet Socially Excellent people or hear stories of Social Excellence, it motivates me to be better, do better, and live better. I think Jaclancey is a real life example of the power one person has to further the spread of the Social Excellence message. You see, Jaclancey was curious and generous. He saw a young woman buying 75 notebooks and folders, a sight one doesn’t see every day, and instead of letting an opportunity pass him by, he was inquisitive and asked the question that was burning inside of him. By inquiring about the purchase, Jaclancey started a conversation with Alex. A question and introduction led to conversation and that conversation led to a collaboration of the two working to educate our future leaders. In our everyday lives it would be great and generous if we opened our wallets to help others, but generosity can be simpler. We can go out of our way to make someone smile or make their day a little bit better. We can linger a little longer while holding open a door, we can let someone go head of us in line at the grocery store, or we can be the person that inspires others to be curious and generous. We can be a little more like Jaclancey from Georgia. My husband and I recently took a short vacation to Key West, FL to celebrate my birthday. We wanted the vacation to be quiet and relaxing. We made no official plans except to spend time with each other and see what each day brings us. 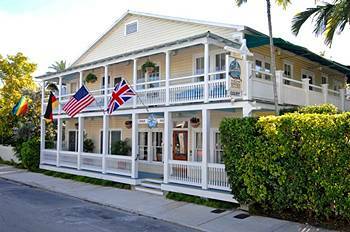 In an effort to have a quieter atmosphere, we decided to stay at a bed and breakfast tucked in an area of Key West called “Old Towne”. This is the oldest part of Key West 6 blocks north of the bustling Duvall St., and two blocks in from the Harbor. We arrived the night of our check-in after all the staff had left. On the front door of the B&B was a envelope with our names on it. Inside, handwritten instructions of how to get our keys, where our room was, what time breakfast was, all the “need to knows” of the home, and a final note that said, “We’ll get you all checked in after breakfast tomorrow.” The next morning, we walked out to breakfast sad down with a cup a coffee and a man from behind the front desk says, “You must be Ben and Jessica. Welcome.” He stood up from his post, walked over to us and introduced himself as Roman and shook both of our hands. We assumed that he wanted us to check in immediately, sign our forms, get our credit card, and get on with his other duties, but he didn’t. He told us to enjoy our breakfast and that we could get to checking in later. When we finally walked up to his desk to check in, his first comment was, “What do the two of you plan on doing today?” I was shocked. I travel for a living. I am accustomed to the first thing someone says to me a hotel front desk is, “I need you drivers license and credit card.” Roman than proceeded to pull out a map of Key West, make some recommendations of local coffee places, great restaurants for lunch, live music, and places we should see marking them all on the map for us. As I write this I smile just thinking about that moment. I felt like Roman actually cared about us and wanted to ensure we enjoyed our time in Key West. That afternoon when we came back to cool off in the pool Roman was filled with questions about what we did, how we liked it, and if we had thought about what we wanted for dinner. He then walked us over to the dining table where he had set out menus and discount coupons for local restaurants that he loved and a stack of maps with all of the restaurant marked on it. He asked these amazing questions about what food we liked and when he talked about the different places, he didn’t talk just about the food, he talked about the atmosphere, the service, the noise level – the things that really make eating out an experience. This level of service continued each day that we were there. The conversations with Roman grew longer and longer. We found ourselves wanted to tell Roman about the things we did, our experiences, and getting more recommendations from him. We also found ourselves just wanting to get to know Roman – and we did. On our final day as we were leaving the B&B, Roman walked us all the way outside, gave us both a hug, asked us both to come back soon, and then said, “Jessica, have a great day tomorrow (my birthday), I won’t wish it to you yet because it’ bad luck in Germany (he grew up in Germany).” My husband mentioned offhandedly the first day we were there that my birthday was on Monday – and he remembered. He remembered my birthday; he never forgot our names, and Roman, made our vacation. We had an amazing experience at our Bed and Breakfast because of Roman’s Social Excellence (and his application of “The Four Pillars of Social Excellence”). Roman was curious about us, what we wanted out of our vacation, and how each of our days were. Roman was generous – was kind and warm and made our day and our vacation better – because he was in it. Roman was authentic – he wasn’t an overly helpful – just so I can get a tip – kind of guy and I felt like I got to know the real him. He was also vulnerable – he opened up to us about what places in Key West he liked and why, about his childhood in Germany, about his partner and his friends in Key West. Our experience at the Heron House Court Bed & Breakfast in Key West, FL was by far the best customer service I have ever received at a hotel – and that’s saying a lot because I stay and a lot of hotels. But more than that, it wasn’t a transaction (they take our money and give us only what we paid for) it was a memorable experience full of someone caring about us. Our experience there was largely in part due to the Social Excellence of Roman. Being Socially Excellent isn’t just about recruiting people to a cause – it is about being good at your job, it’s about being a good person, it’s about positively impacting the lives of others. I wish more people whose jobs involve customer service would take a lesson from Roman in Social Excellence – the world would be a better place. What experience can you create for someone this week because of your choice to live a Socially Excellent lifestyle? I have been thinking a lot lately about gossip, particularly among women in organizations. I am not sure if it is because I am literally immersed with all women’s organizations all day everyday or because I have been a victim of gossip and am now a STAUNCH advocate against it- it is probably a little bit of both. What I wonder is… Why do we do it? What does gossip accomplish and how does it impact organizations? I think that we gossip to waste time and have something to do, to feel better about ourselves and/or lift ourselves to a different standing, or to make sure other people see the world through our lens. The gossiper is often insecure, bored, mis-informed, and dramatic in nature. If you let it, gossip has the power to transform organizations, change lives, alter view points, and take up a whole lot of time. It has been stated that “to change a human is to change humanity.” When we gossip it negatively impacts a person — someone who was uniquely and lovingly created to impact the world. So the impact gossip makes is not only on an individual but on the rest of the world in which they belong. You know what else has the power to transform organizations, change lives, and alter view points? Social Excellence. I invite you to spend time checking out our message about the importance of curiosity, generosity, authenticity, and vulnerability. What would happen if women (and men) in organizations stopped gossiping and used that time to build healthy, meaningful relationships with one another? The lifestyle of Social Excellence is built from momentary bold choices to live as the best version of you. Be bold enough and courageous enough to stop gossip when you hear it today — it could change your organization, it could change a life, it could change humanity. At the young age of 160, Sorority Life died today. After much scrutiny by the 26 members of NPC, the cause of death was determined to be a dreadful combination of complacency, lack of accountability of its current membership, and malrecruitmentitis (an inability to consistently attract high performing members). It is a sad day for the over 3.5 million initiated women across North America. These women were able to experience the life changing bonds of sisterhood, had some of the strongest academics on the most competitive campuses and even went on to become actresses, politicians, doctors, lawyers, and even Supreme Court Justices. But that legacy abruptly ended due to poor decision making. Rather than choosing to continue the legacies of excellence, empowerment, and societal improvement as set forth by the founders of these amazing organizations, active members dabbled too much in the deadly game of snooty anti-social silliness and ultimately tainted the very idea of what a “social” organization is supposed to be about. Letting themselves be defined by parties, hazing, and other such unbecoming behavior, membership dwindled on campuses. University administrations no longer had the patience for disruptive and immature behavior and felt pressure from Board of Directors to cancel Student Organization recognition. High quality women, leaders and visionaries, no longer saw value in joining sororities. They could seek out leadership and service in other organizations that would not carry as much negative stigma as sororities. The disease of complacency and lack of accountability spread to the heart and purpose of Sorority Life and she had no choice but to breathe her last breath. Donations to all 26 sororities’ national philanthropies will be accepted in lieu of flowers; these organizations will need the support since they’ve lost future donations from Sorority Life. We don’t want to read this obituary either. The only way to keep her healthy for years and years to come is to implement a proven system to consistently attract a high quantity of high quality women. In the 8th grade I designed my own video game on a teal iMac at Baldwin Magnet Junior High School in Montgomery, Ala. That day I fell in love with Apple’s unique ability to allow it’s users to innovate and create. That was the legacy of Apple’s cofounder, Steve Jobs. Since 1976, Steve’s passion and Apple’s mission has been to bring innovative hardware, software and Internet offerings to the world. In his effort to bring innovation to the masses, he changed the roles computers, music and phones play in our everyday life. Though he has inspired many dynamic, enjoyable and downright magical products, I think his legacy will be his ability to innovate and change the status quo. In fact, in Simon Sinek’s popular Ted Talk, he makes the argument that the reason Apple constantly outperforms its competitors is because of it’s why: to change the status quo. Though few of us have worked with Steve Jobs or even met him, each of us have undoubtedly written a paper on a MacBook, FaceTimed with a distant family member on an iPhone, watched a Pixar film or been moved by Job’s Stanford commencement speech. While we may not be personally affected by his untimely death, I think as members of organizations that’s very purpose is challenged by non-believers each and everyday, we can all learn from his legacy to change the status quo. When you walk through your daily life as a fraternity man or woman, attempt to act out Jobs’ why and change the status quo. Change the way people see fraternities and our purpose by intentionally connecting with others, by engaging in meaningful conversation, by acting in a respectable manner and by living everyday with integrity as the best version of yourself. Just as Steve Jobs made products that were beautifully designed, powerful to use and user friendly; maybe we can make fraternities beautifully designed, powerful to use and people friendly. There is a distinct difference between Ke$ha and Lady Gaga, (Minus the fact that one loves glitter and the other loves creating her own outfits). They both create fun tunes to bounce along to, sometimes they have meaning and sometimes they don’t. But for some reason Lady Gaga, despite being discovered at the same time as Ke$ha, has risen to an unfathomable level of stardom. People have even gone on to call Ke$ha “baby Gaga,” aka the JV version of the true Gaga. What is the difference? Only one answer: Little Monsters (her passionate followers). Ke$ha and the Gaga have fans no doubt. Fans are the people who will buy the collector’s edition of your album before they hear one track off of it. But only the Gaga has followers. People who will drive thousands of miles just to see her live from the nose bleed section of a stadium — dressed like her, crying when they see here, admiring everything she’s about not just her fun songs. This is the difference between fans and followers. Fans will support you when things are going well but followers will define their lives around your ideas, way of life, and existence. So how did Gaga pull ahead in the fans vs. followers race? They are both blonde and funky artists who create fun music. Well it is simple really, and it actually has a lot to do with Social Excellence, specifically The 4 Pillars of Social Excellence: curiosity, generosity, authenticity, and vulnerability. Both Ke$ha and Lady Gaga have won people over with their curiosity and generosity by getting to know their fans, making their music about their fans and connecting with people. But only the Gaga has mastered the other two pillars. Gaga has let her wall down and has been vulnerable showing her fans her authentic self. Her being her authentic self and being vulnerable has given her fans permission to do the same and therefore transformed the relationship between herself and her fans into a dedicated group of people who will follow her. It is no longer a relationship, but rather a meaningful connection between the Gaga and her little monsters. So how does this apply to organizational growth? Well, we need to master the art of Social Excellence in its entirety, by being vulnerable and authentic, not only curious and generous if we want to create meaningful and life changing conversations. This is a progression… now we are not asking you to pour it all out there upon meeting someone who could eventually join your group (or travel around in an egg-shaped pod). But when you meet someone, be curious and generous. Then as your relationship progresses… be the first one to be vulnerable and show your authentic self. We have to be our authentic, vulnerable selves in order to give others permission to let their own guard down. It is the difference between record breaking and Grammy winning. The truth is that fans will love you and may pick you first in a recruitment competition, but only followers will stick it through when the going gets tough. A fan will stick to you when your song is hot, but only followers make you a classic! When you have the rare opportunity to explain your organization to someone, do you know how to make the most of it? Unfortunately many people waste those opportunities by talking about what their organization does. Tell a story. Tell a personal, emotional, directional, and invitational story. Do not convey facts, figures, or data. Inspire. Connect on a Heart-to-Heart level. Attempt to share a story that includes all four of these elements. Personal: Your organization is an important part of your life. So tell a personal story. Dr. Brene Brown (who we’ve mentioned before) suggests that life is really all about interpersonal connection. 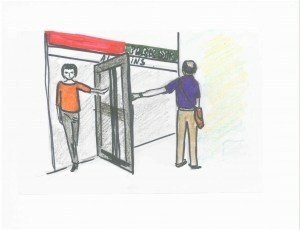 People want to connect with people on a deep instinctual level. Get to the heart of what your listener really wants to hear — a personal story, a testimonial about how your organization has changed your life for the better. Make your story personal. Emotional: Passion, excitment, sorrow, struggle, joy, fulfillment, rage, justice, fanaticism, pride… Whatever emotion your organization evokes in you, share that with your listener. When people are interested in associating with an organization, it is often for reasons rooted in the most primal parts of our brain — not logic, but emotion. Start with Why. Share an story filled with emotion. Directional: Where is your organization going? What is it trying to accomplish? Your story must communicate direction. Not just what you have done. Not just what you’re doing. But where you’re going, what you’re going to do, and why you’re excited to be headed in that direction. Vision. Share a story that communicates direction. Invitational: Your personal story should include some space for them to imagine themselves. Share a story that invites an opportunity to create their own personal story. We’ve discussed this topic before. See this post from 2009, and this post from 2008. People are often curious about how I got into this work – being a sorority recruitment expert – but they are rarely curious about WHY I do this work. I guess they make assumptions about me, what I value, or what I must care about because I devote my life to sorority recruitment. What they probably don’t understand is why anyone in their right mind would devote their lives to this – balloons, chants, fake conversations, fancy water glasses, matching outfits, five days of bizarro world, etc. – sorority recruitment. We’re supposed to change the world. Sorority women are supposed to change the world for the better. I’ve mentioned this before, but it bears repeating. We are literally the most educated, most affluent population of women in the world. We are the best equipped (time, money, resources, education, networks) to make a huge, deep, meaningful, impact on the world we live in. I don’t think, however, that we are even close to living up to our full potential. We’ve forgotten what we are supposed to do – change the world. We’ve gotten so caught up in being the biggest, the best, the prettiest, the coolest, the most social, the smartest, being at total, making quota, being the group that all the fraternities want to spend time with, etc. – within the context of our own campus, our own national organization, or in the great umbrella groups of which we are a part. That is not why we exist. That is not what our founders intended for us. Collectively, there are millions of sorority women in the world – millions. There are millions of women with the education, time, money, and resources to collectively come together and create a better world – to end hunger…to end homelessness…to cure cancer…to end war…to fight curable diseases in impoverished nations…to change the world for the better. I teach recruitment because of this. Because if we begin to focus on finding other women who want to change the world – we have a chance to do so. I teach recruitment so we can put higher quality women in our organizations. I teach recruitment so that active undergraduate sorority women know how to find high(er) quality women for their organization – women better than themselves. I teach recruitment so we can find women who care less about prestige, popularity, and social status, and are more about making a deep and meaningful impact on the world. So let me be clear: I don’t teach sorority recruitment so chapters can have higher return rates, or make quota, or get to total, or put on really great skits, or chant beautifully in unison, or win national awards. I don’t care about that stuff, and find much of it to be absurd. I teach sorority recruitment so that I can find more women who want to change the world for the better with me. That’s what we’re supposed to do. That’s what I want to do – and I need women to join me. Our success starts with the quality of women we invite to be a part of us – the quality of the women we recruit. Our success culminates when the world becomes a better place, everyday, because we’re in it.